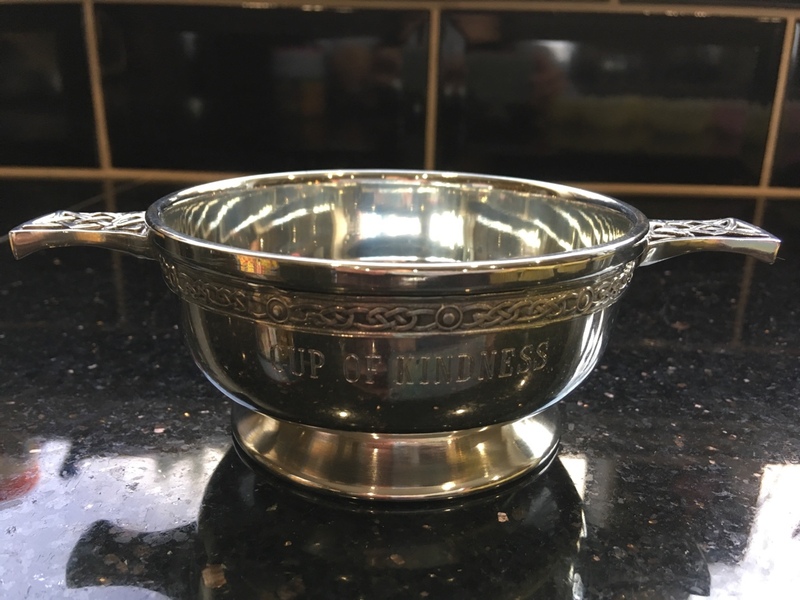 I picked up our beautiful new Cup of Kindness today from the jeweller. 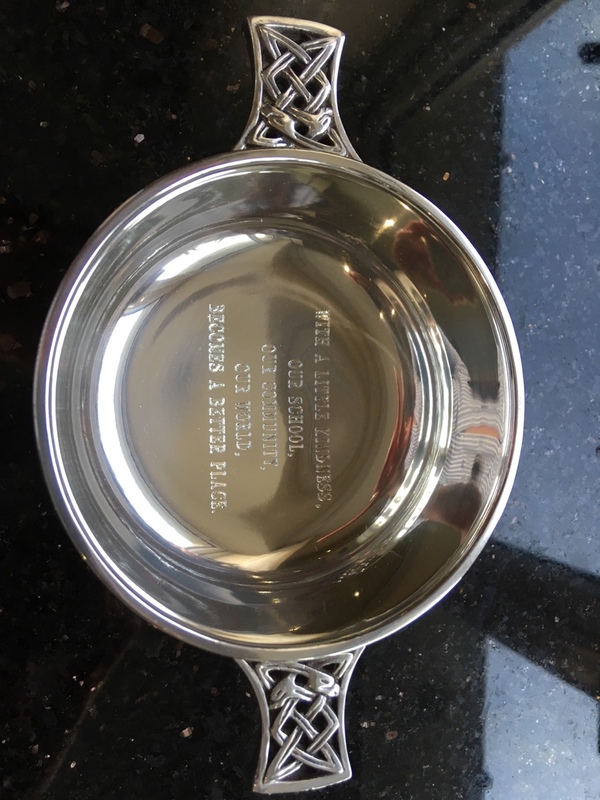 Thank you to Laura and the basketball players for donating money to school so we could replace our old battered and bruised cup – it can now rest easy in the trophy cabinet. I wonder who will be first to be awarded the new cup?